Starfinder’s Core Rulebook is going to be most player’s first point of reference for the majority of things they do in Starfinder. For many players, it may be their only source of information for years to come. That’s the biggest challenge for any game is balancing the basic needs of every participant, the basic needs of the Game Master (GM), the background information about the setting, and enough advanced information on all of those for the people who want more up front before they invest in the next books. Starfinder has an extra challenge, in that Paizo also needed to connect things back to the history and established canon set by Pathfinder and how it fits into the futuristic timeline of Starfinder. At its core, Starfinder uses the same D20 System as Pathfinder but was redesigned from the ground up to be more streamlined and user-friendly. Many of the concepts are the same, but the implementation isn’t as convoluted. Aside from the prerequisite “What is this roleplaying thing you speak of?” section, the obvious start of the book is character creation. Unlike many RPGs, where you pick your race and class, with Starfinder you also pick a theme for your character. There are nine themes that help simplify the creation process and give different bonuses. If you really don’t want to use them, you can choose to be themeless with smaller, but less specific, bonuses. Old school RPG players will be familiar with the term “rolling up a character”. This referred to the process of determining a character’s ability scores by rolling one or more dice. Players can still do this if desired, or if someone’s in a hurry they can pick from an array of “quick pick” scores to assign as they wish, but the default is a point buying system that allows players to fine tune their character quickly. Another interesting thing is how Starfinder tracks health. Almost every game has some way to track character’s health, Starfinder has three. Actually, it’s more like two and a half. A character has the usual Hit Points (HP) to measure health, but before that, they have Stamina Points (SP). When a character takes damage is usually comes out of their SP before it reduces their HP. Where Hit Points take some effort to regain, Stamina Points are relatively easy. The simplest way is to spend a Resolve Point (RP), that’s the “half” I mentioned. You can spend RP on a number of things, but one of them is to regain your spent SP or in some situations a single HP in order to stay alive. 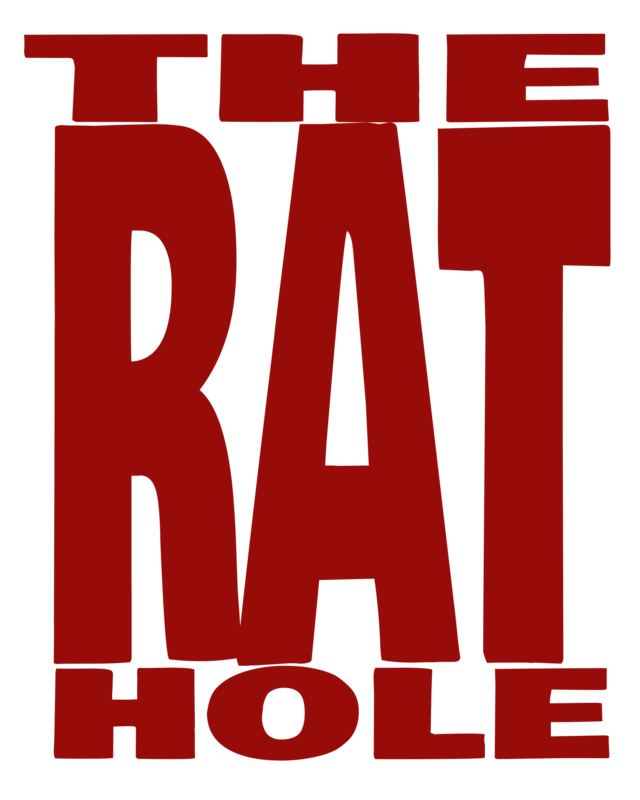 Chapter three goes into detail on the core races you can play. Aside from Humans, they are all new and were not previously part of Pathfinder. Chapter Four digs into the seven available classes you can take. Some of the classes have clear connections to more traditional fantasy classes, like the Mystic or Soldier, while others are distinctly geared towards the spacefaring theme, like Technomancer and Mechanic. Chapters five through seven get a little dryer and more technical, as they cover skills, feats, and equipment. While the equipment chapter is interesting to get to know, there’s really no way to have fun with page after page of stats tables for different weapon types. Magical weapon infusions are a really neat idea, and they allow players to easily create what would be classified as an enchanted weapon in fantasy games, with cool effects and bonuses. Dealing with modern armor, technology, and computers, are all covered here. Chapter eight runs through Tactical Rules, which involves individual player combat and planet-bound vehicles. Most of the combat rules are very close to their Pathfinder counterparts, but they aren’t completely identical. In most cases, as long as things stay consistent in a battle, there aren’t really any game-breaking differences. There are a few more differences in how magic and spells are handled, but again most of the changes are in the wording more than the effects, and chapter ten covers all of that. The most obvious point that can be made about Starfinder, is that it takes place in space. Not just on another planet, but IN space, and that means rocket ships! Ok, there aren’t exactly “rocket ships”, but chapter nine covers everything from the history of space travel between the Pact Worlds, to building a starship, to examples of different ship designs, and of course the how-tos of starship combat. The next two chapters are about running a game as the Game Master (GM) and a more in-depth description of the different planets in the Pact World System, what lies beyond that solar system, as well as some of the political and religious organizations from the game. I’ve brought up comparisons to Pathfinder several times so far, and not just because this is a sci-fi derivative of that game. Starfinder was built from the ground up to be more streamlined, but still compatible with, Pathfinder. The final chapter of the rulebook goes over how to convert Pathfinder monsters and other Non-Player Characters (NPCs) for Starfinder play (and vice versa). It also gives the history and details to play many of the Pathfinder core races in Starfinder. 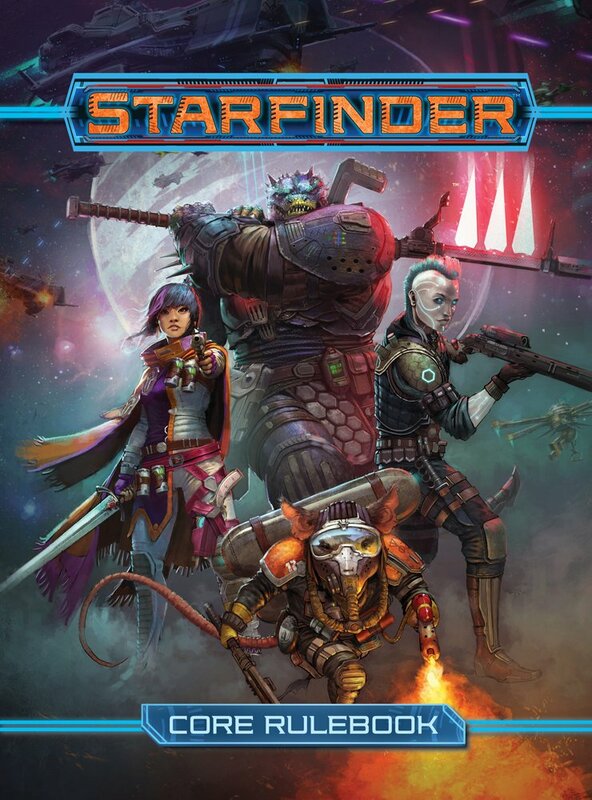 Paizo used their years of Pathfinder experience to launch Starfinder with a remarkable amount of accessory support. Basic Terrain and Starfield maps, GM Screen, a magnetic erasable combat tracking board, and an expanded character folio, are just a handful of the cool releases that came out at the same time as the core rulebook. The Legacy Conversion rules make it easy to grab any of the Pathfinder books and use them to create Starfinder campaigns until you pick up the Alien Archive book and other future releases. If you don’t want to create your own adventure (I’m not a fan of it, myself) you can pick up the first bi-monthly Starfinder Adventure Path, Dead Suns. Each adventure in this six-part campaign builds on the last, as your characters and the story evolve.